Booger, a 2 year old gibbon. 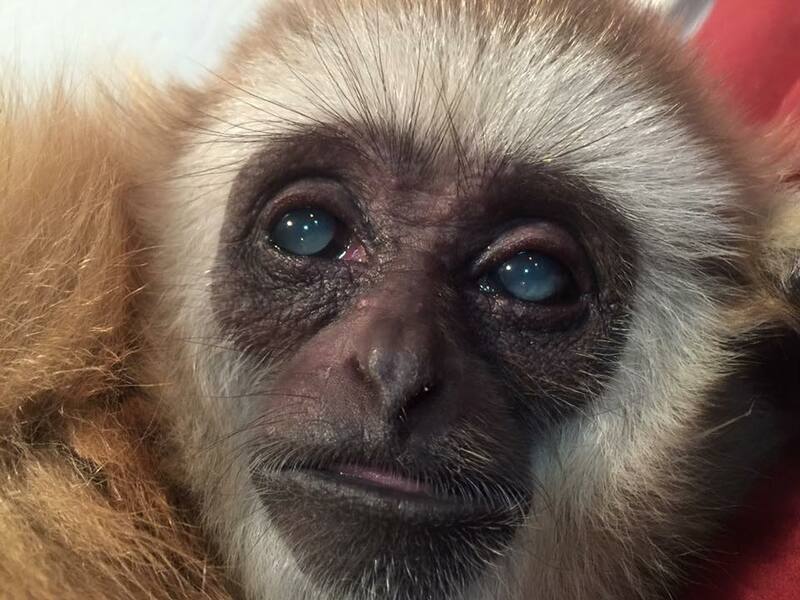 Veterinarians at the Kansas State University’s College of Veterinary Medicine have performed what might be the first cataract surgery on a young ape patient in the U.S. The lucky ape? Booger, a 2-year-old gibbon. Savorelli brought Booger to the Veterinary Health Center at Kansas State University, where she was first examined by James Carpenter, professor of wildlife and zoological medicine. Carpenter said there were numerous people involved in performing the procedure. Meekins said there are several similarities in the eye structures of most animals, including in the development of cataracts. Precision was an important part of the procedure. The cataract procedure is not expected to keep Booger down for very long.